KLOTHO is a sustainable fashion brand founded in Crete in 2016 that brings together the Art of Weaving with contemporary design and global trends to create items of timeless aesthetics. Artisanal garments of relaxed chic elegance made of lasting quality materials and handloom embroidered patterns. A blooming collection inspired by the rich flora of Crete and its rare species of flowers and herbs. Their exquisite shapes, vibrant colours and stimulating smells reveal a unique source of inspiration. Bold colours, supple textures and sensuous curves compose a collection of effortless chic elegance. With respect to craft, tradition and the long-lived Art of weaving B-looming collection embodies delicate embroideries on artisanal garments crafted on our hand operated floorlooms by the island’s best weavers. Is a heritage brand with a mission to preserve folk art while make it look fresh and modern. 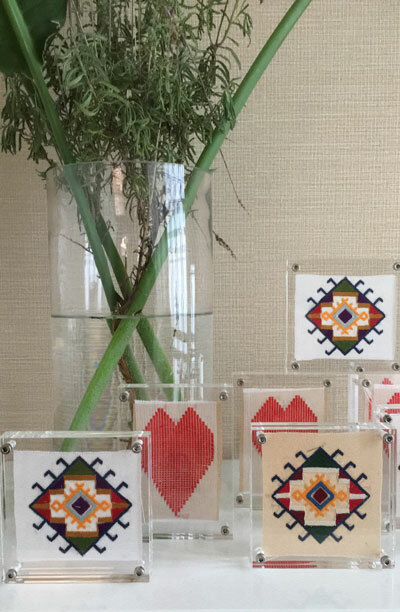 A new series of loom woven and hand embroidered items just landed, framed in premium quality plexiglass. Each piece is designed and hand weaved by our experienced, local weavers from initial sketches through to hand finished and embroidered fabric in our floor hand looms which we recently renovated. Our loom studio is located on the magical island of Crete, a tapestry of splendid beaches, ancient treasures, dreamy villages and vibrant cities. 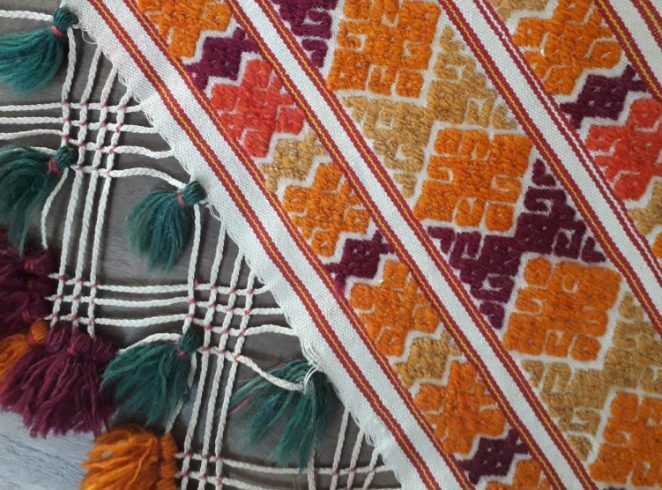 Find us in a place where Cretan architecture meets Greek hospitality and be guided to the whole process of textile weaving.